The exclamation mark within an equilateral triangle is intended to alert the user to the presence of important operating and maintenance (service) instructions in the literature accompanying the apparatus. Read this manual before attempting to start up or service the product. Retain the manual for future use. Workplace Efficiency Monitoring Systems Ltd accepts no responsibility for any consequential loss, failure or damage resulting from a failure to heed any warnings or to follow the instructions. The WDC may be operated only from the built-in 3 x AAA battery pack. Operation from other supplies is not authorised. The WDC requires 3 x best quality AAA batteries. Electrostatic discharge can damage or impair electrical circuitry. It occurs when electronic components are handled improperly. If removing or replacing the circuit board inside the WDC case, always use a grounded anti-static wrist strap and grounded electrostatic discharge mat. If no wrist strap is available, ground yourself by touching the metal part of any grounded chassis while handling the circuit board. We, Workplace Efficiency Monitoring Systems Ltd, hereby declare that this product is in compliance with the essential requirements and other relevant provisions of directive 1999/5/EC. UK, Germany, Austria, Belgium, Switzerland, Netherlands, Luxembourg, Italy, France, Ireland, Spain, Portugal, Sweden, Norway, Denmark, Finland, Czech Republic, Hungary, and Greece. This equipment complies with CE, ETSI, ETL and FCC requirements, please take some time to read through the safety notices before installing the product, please observe all safety markings and instructions when using this product. Should you need technical assistance please contact Workplace Efficiency Monitoring Systems Ltd. Please contact via numbers above to receive a RMA number before sending your product back to us for repair. Products sent without RMA number will be returned to sender. This device is guaranteed against manufacturing defects for one full year from the original date of purchase. This warranty is valid at the time of purchase and is non transferable. Damage caused by accident, misuse, improper storage, and/or uncertified repairs are not covered by this warranty. Warranty is only valid in country of purchase. We assume no liability that may result directly or indirectly from the use or misuse of these products. This equipment complies with FCC radiation exposure limits set forth for an uncontrolled environment. End users must follow the specific operating instructions for satisfying RF exposure compliance. This transmitter must not be co-located or operating in conjunction with any other antenna or transmitter. This Transmitter must be installed to provide a separation distance of at least 20 cm from all persons. Changes or modifications not expressly approved by the party responsible for compliance could void the users authority to operate the equipment. This device complies with part 15 of the FCC rules. Operation is subject to the following two conditions (1) This devise may not cause harmful interference, and (2) this devise must accept any interference received, including interference that may cause undesired operation. This device complies with Industry Canada license exempt RSS standard(s). Operation is subject to the following two conditions: (1) this device may not cause harmful interference, and (2) this device must accept any interference received, including interference that may cause undesired operation. The WEEE directive places obligation on all EU-based manufacturers and importers to take back the electronic products at the end of their useful life. 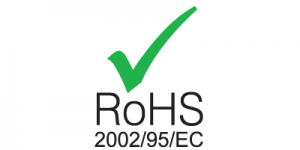 Workplace Efficiency Monitoring Systems Ltd accepts its responsibility to finance the cost of treatment and recovery of redundant WEEE in accordance with the specific WEEE recycling requirements at this date 14th November 2013. 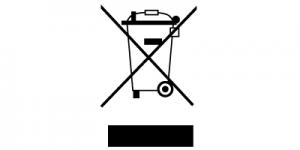 The symbol shown indicates that this product must not be disposed of with other waste. Instead it is the users responsibility to dispose of their waste electrical and electronic equipment by handing it over to an approved re-processor, or by returning it to, InoVu Ltd for reprocessing. The label is positioned to be easily accessible and visible to the installer.